Siberian Huskies come in a variety of colors, from black/grey and white, to a red and white, to pure white. Whilst the darker colors are more common, red Huskies are increasing in popularity. Here is the lowdown on the red coloring and what it means if you are considering adopting a Husky puppy. Firstly there is not one definitive red color out there. You will find that ‘red’ covers everything from a lighter orange color, to a darker chocolate color. In puppies the color that the coat will end up as might not be apparent. However like many dogs, you can look at the color around the ears to get an idea of how dark the coat will get in an adult dog. 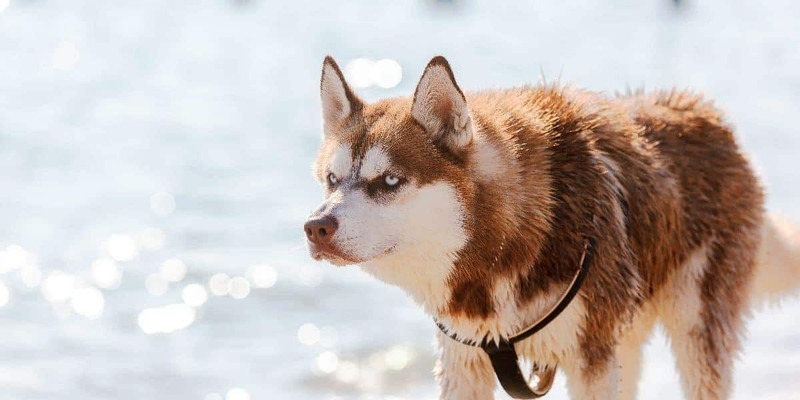 The red color itself is the result of a recessive gene passed through generations of Huskies. Whilst the black colouring is caused by a dominant gene, and hence more common, parents may be carrying the “red gene” and pass it on to their pups. If at least one of the parents is carrying this gene then the pups produced may be coloured red, even if both parents are black. 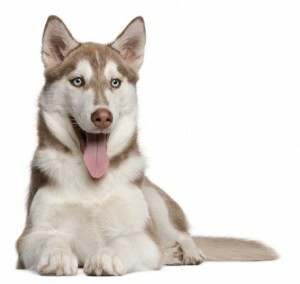 It is important to note that color is not considered in the AKC standard for Siberian Husky coats. The AKC standard recognises all coat colours from black to red to pure white. Color is of least importance when judging Huskies at dog shows. For these reasons responsible Siberian Husky breeders will not breed for a particular color, and rather breed to eliminate health issues such as eye and hip problems. Any breeder that breeds to encourage a red color should be avoided. So if you are searching for a Husky puppy, or simply observing Huskies in clubs and at shows, the red colouring can be quite striking. But in the bigger scheme of things the coat color is not as important as a healthy dog resistant to longer term health issues. For a more technical description of the genetics involved you can read about it in Todd Wood’s article.